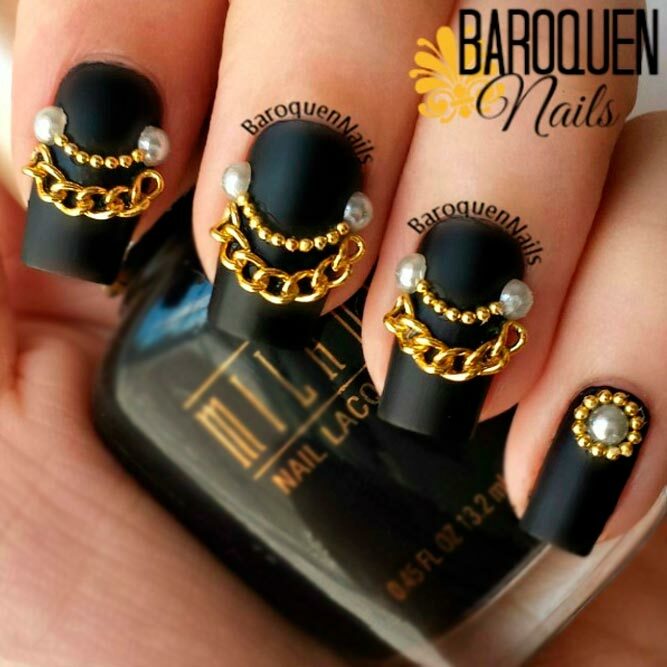 Fashion has always been a physical manifestation of the prevailing trend of the world. 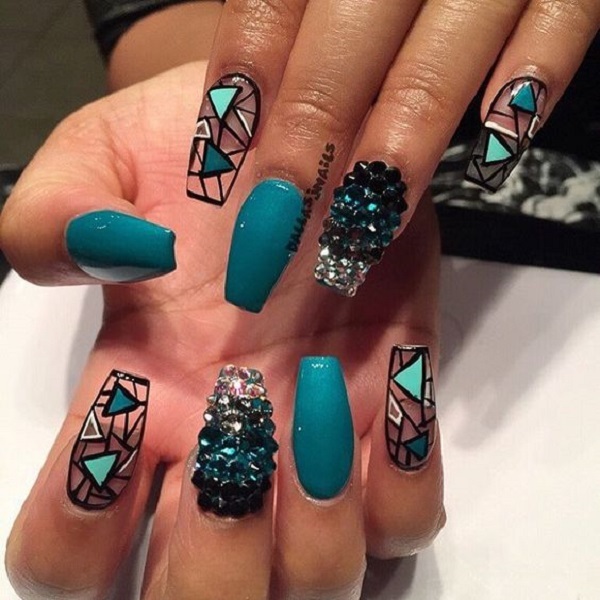 It is always a struggle for artists and stylists to stay on trend, hip, and in-demand. 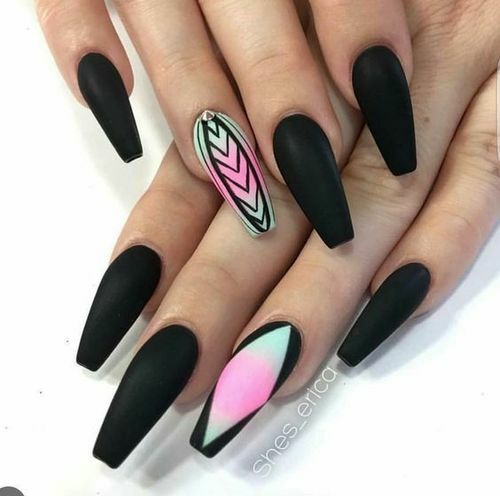 Also, in order for the trend to move forward with the change of time, there must be a few designs which would give “sneak peeks” to the future. 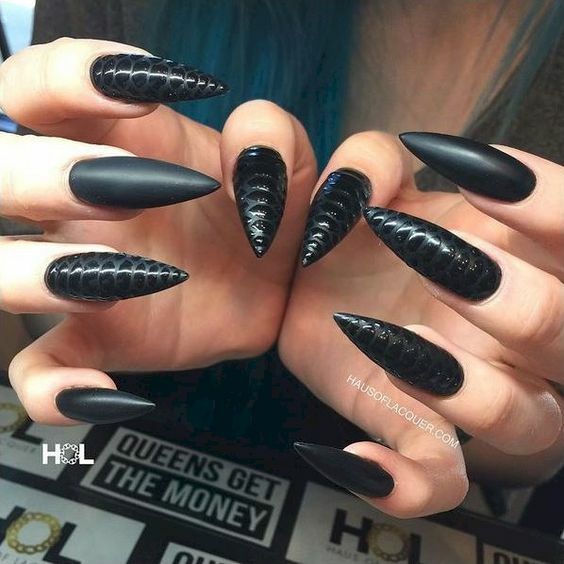 These forward-thinking concepts are sometimes called the edgy ones, the elite few who leads the pack. 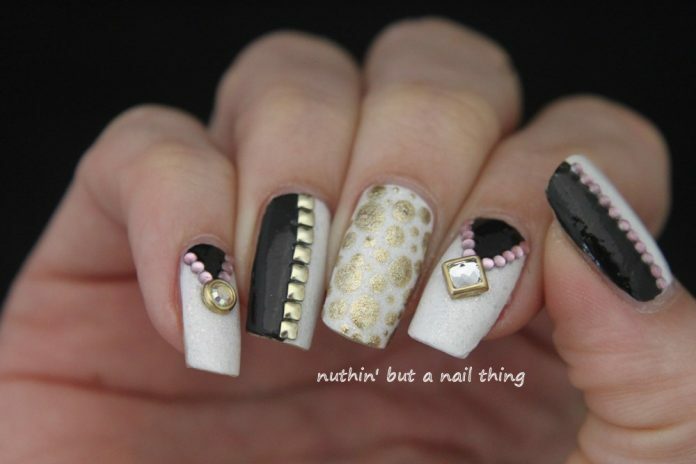 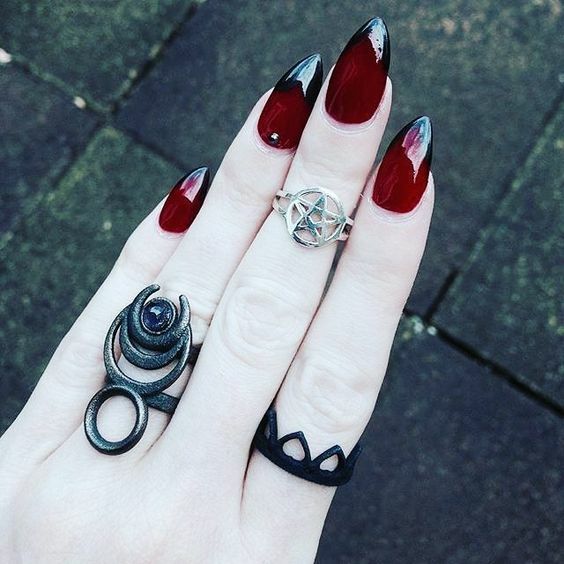 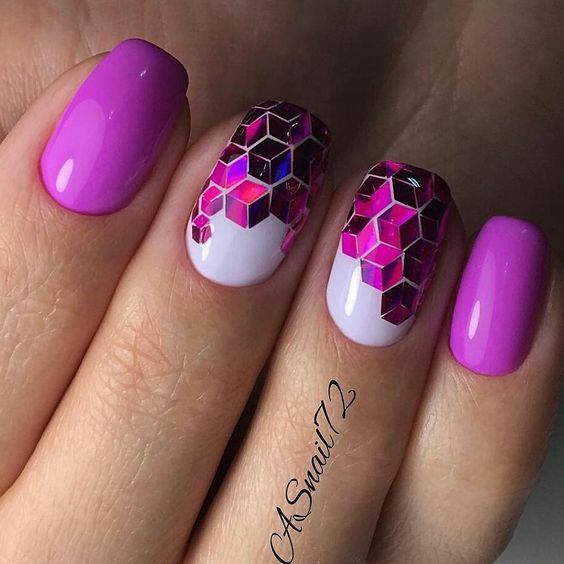 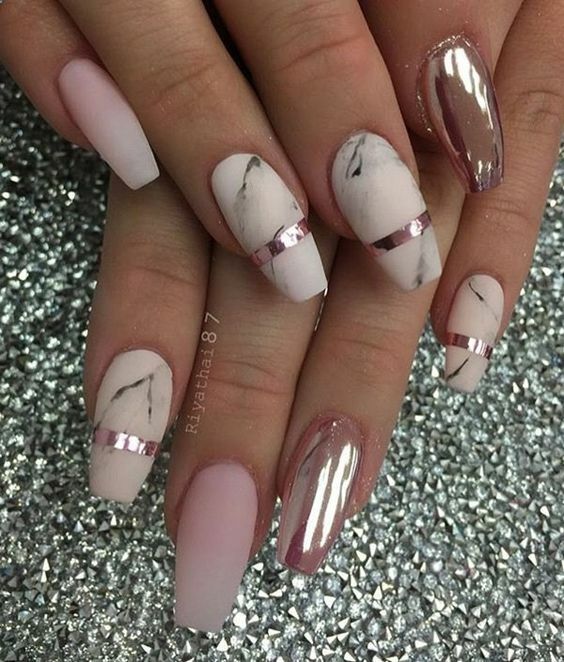 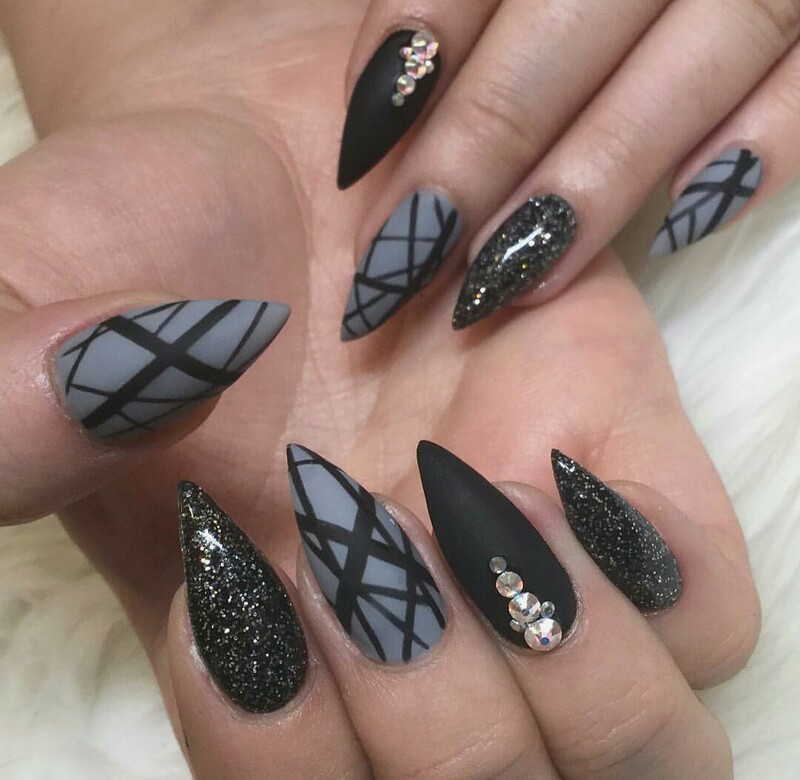 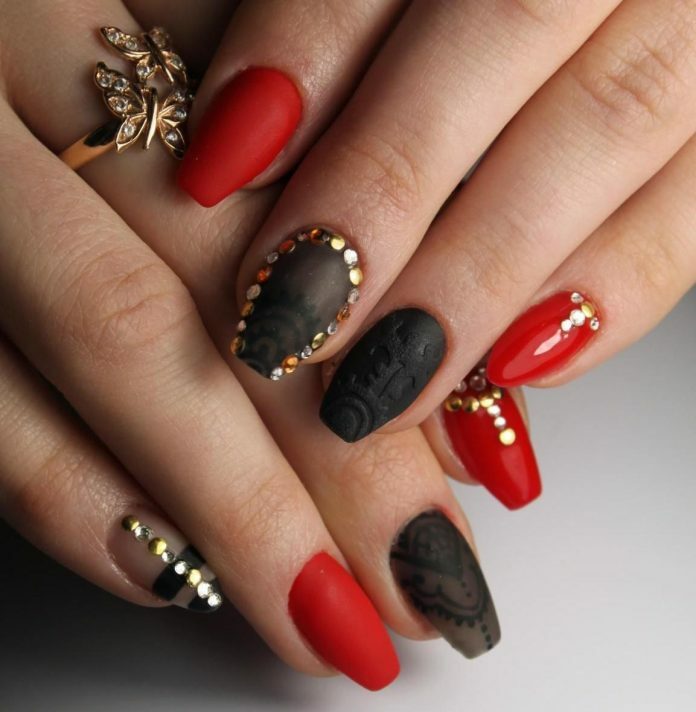 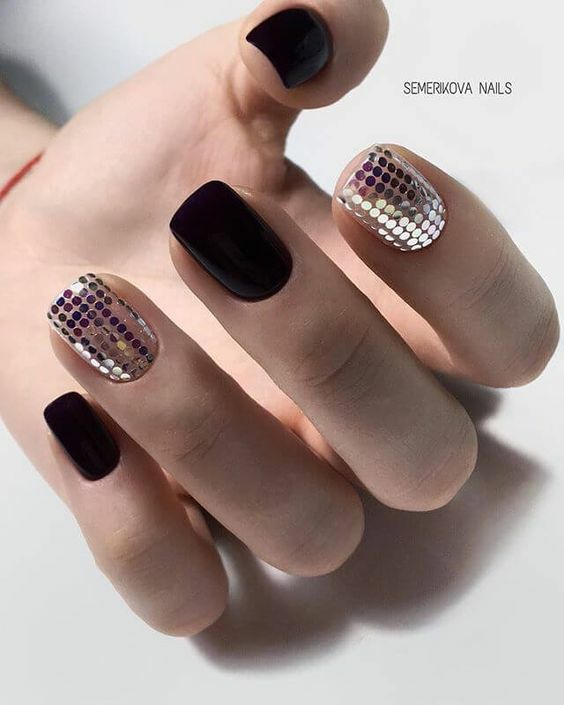 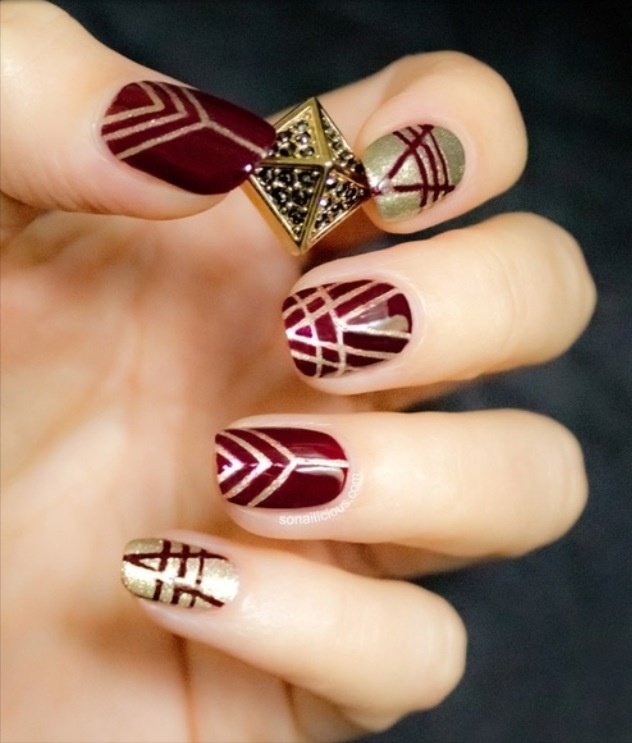 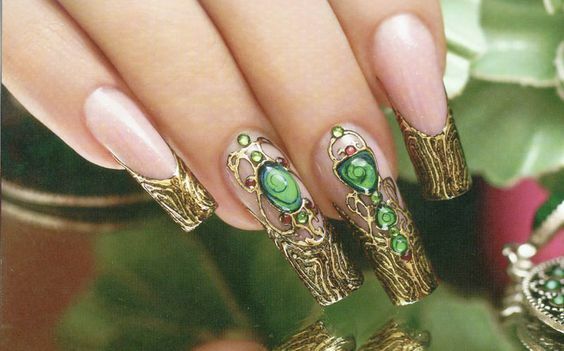 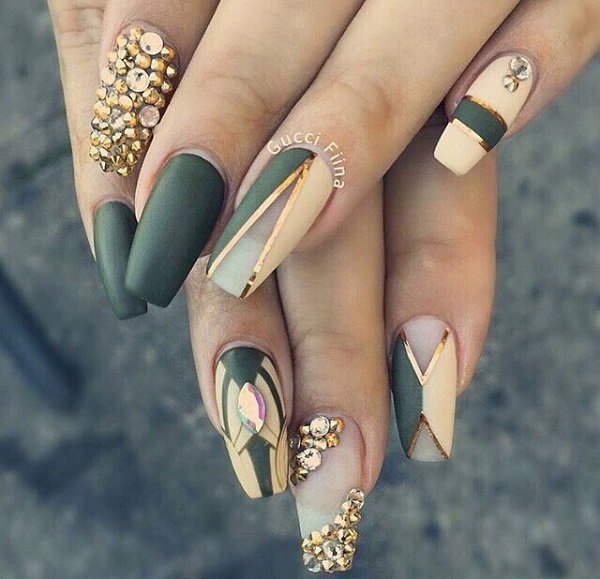 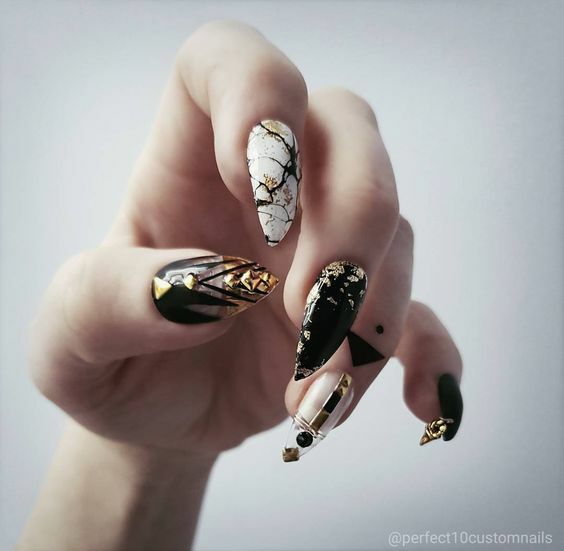 Like all other fashion outlets out there, there are also edgy designs on the realm of nail art. 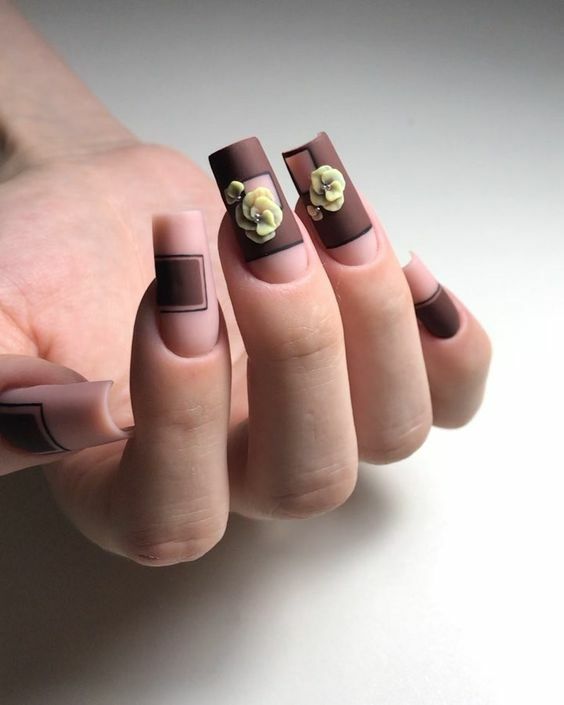 These designs define sophistication, uniqueness, and weirdness in one package. 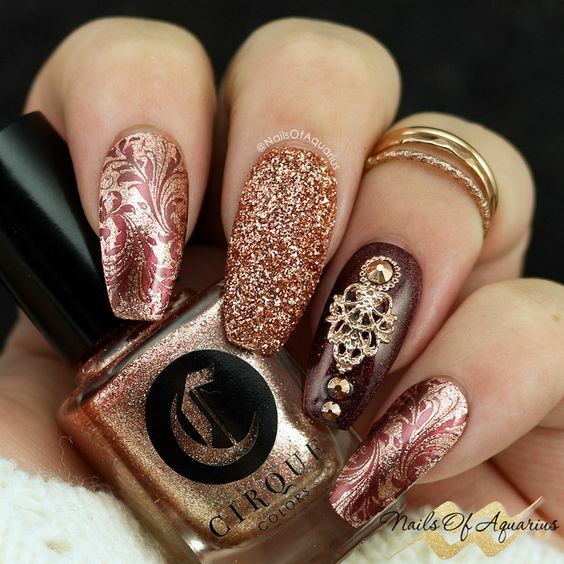 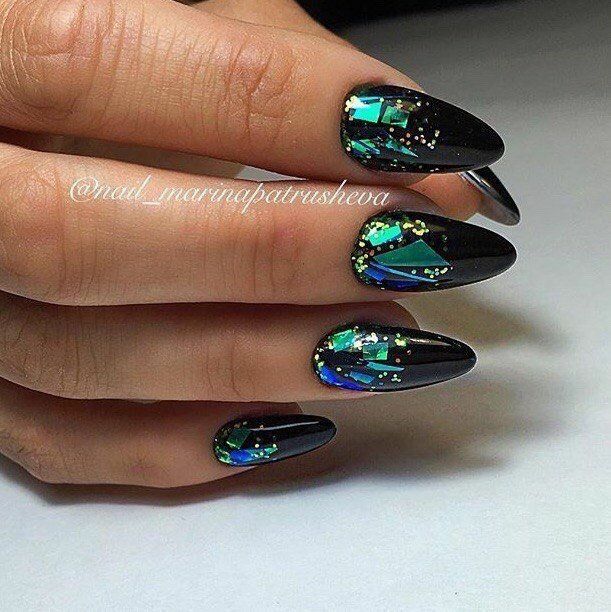 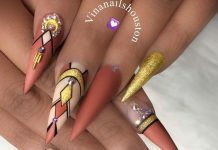 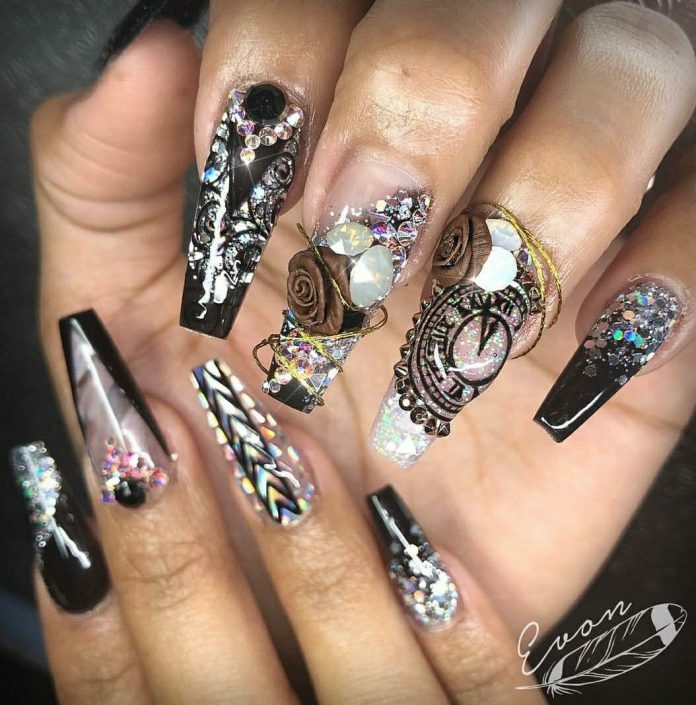 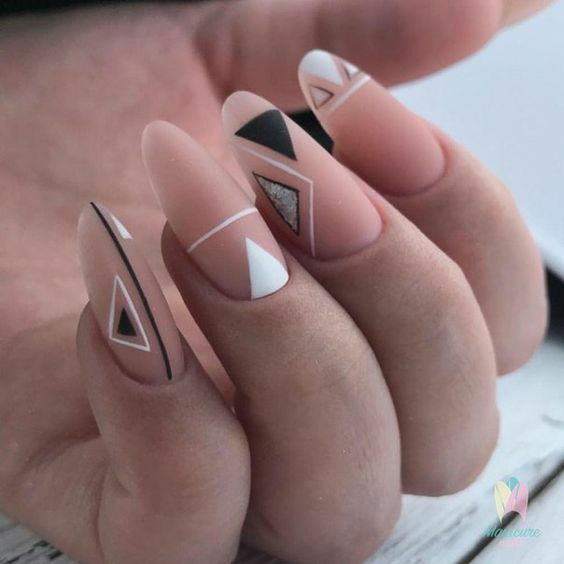 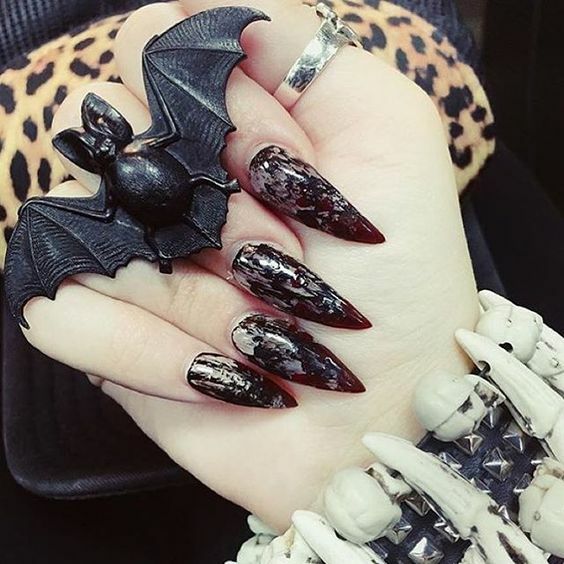 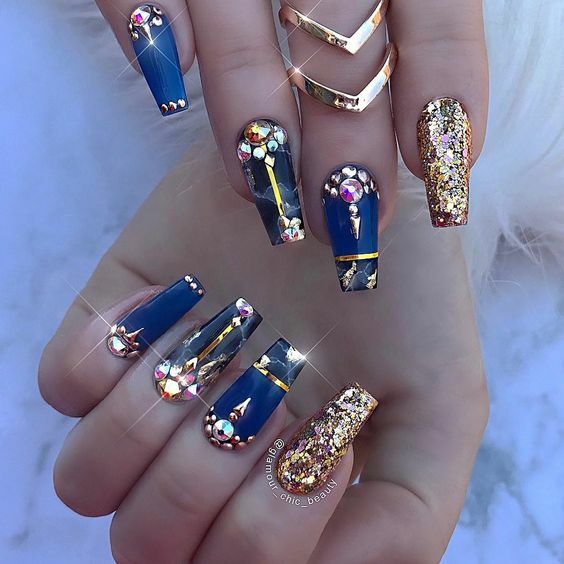 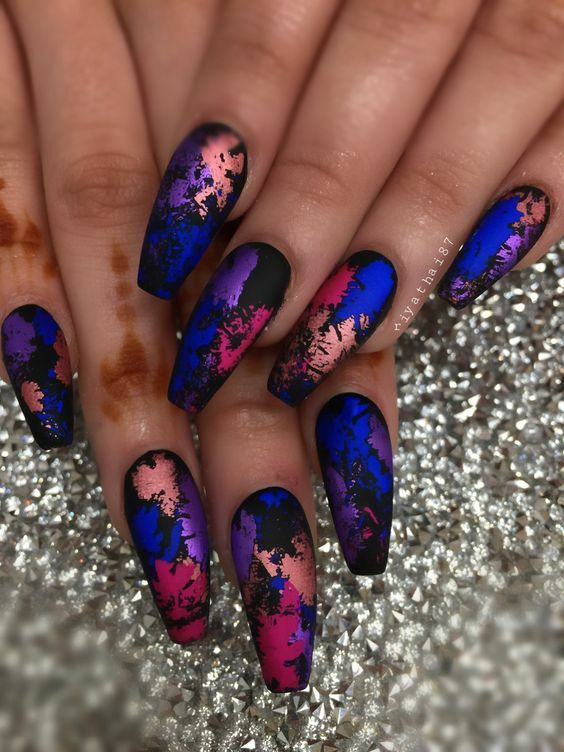 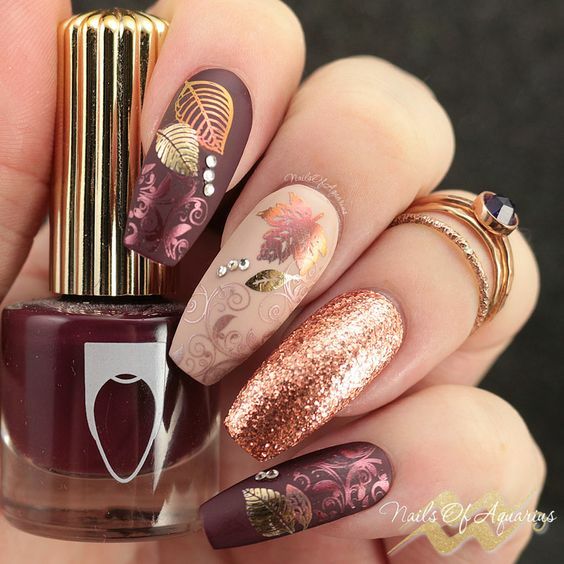 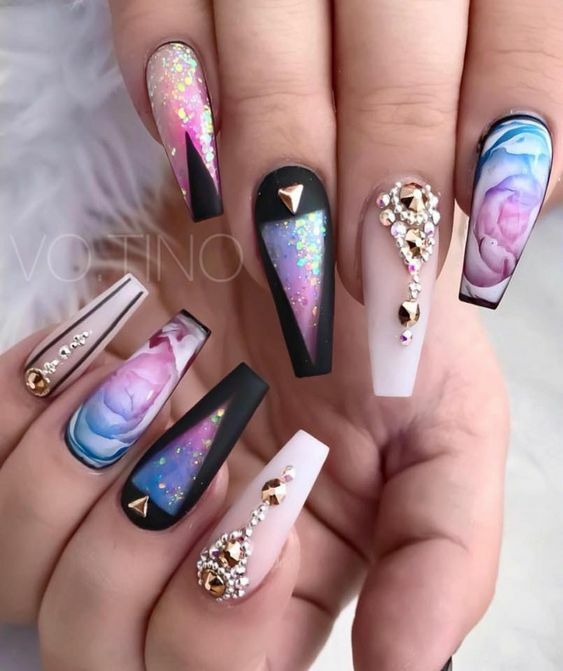 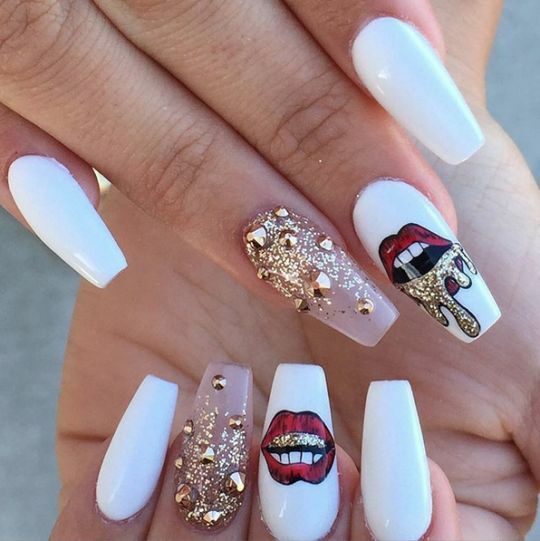 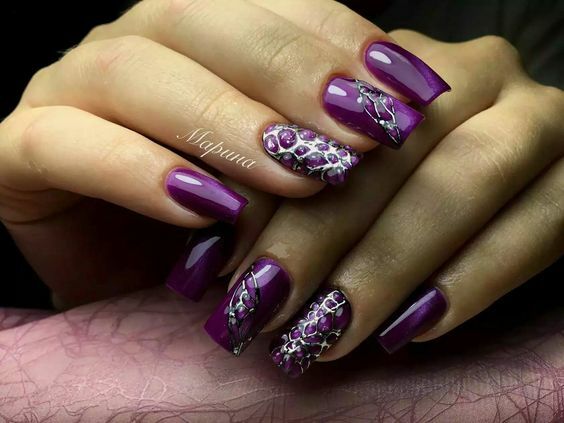 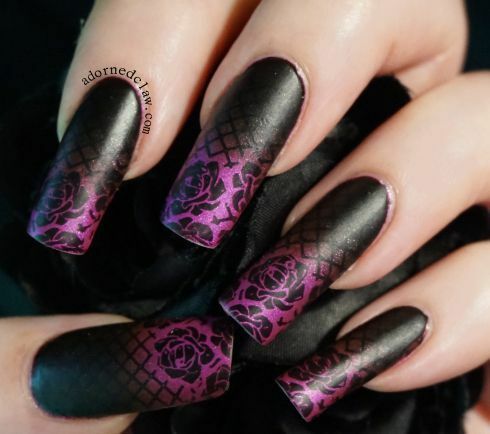 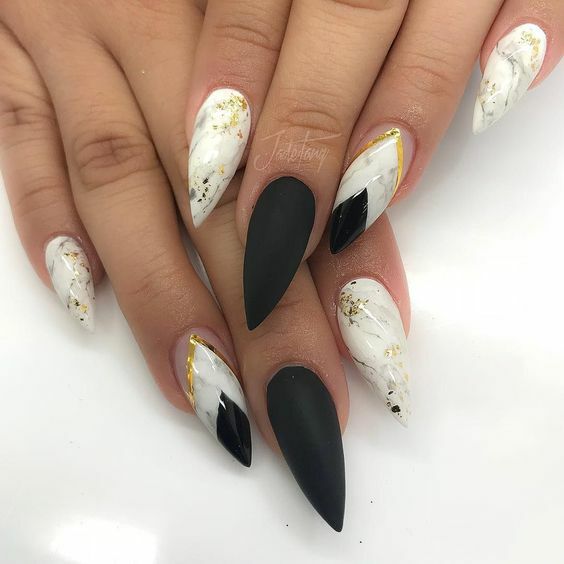 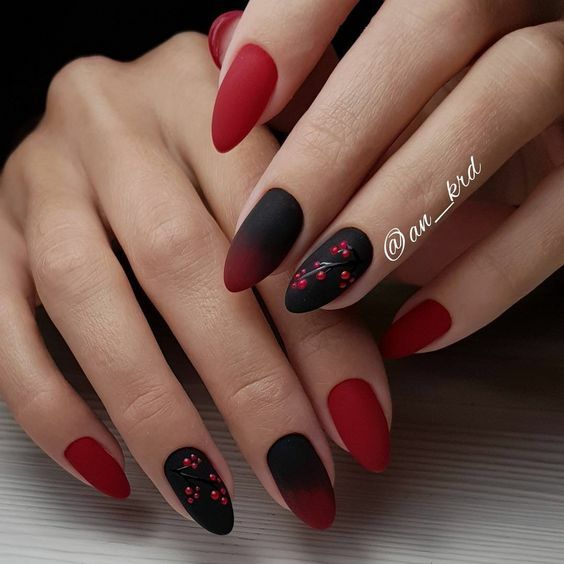 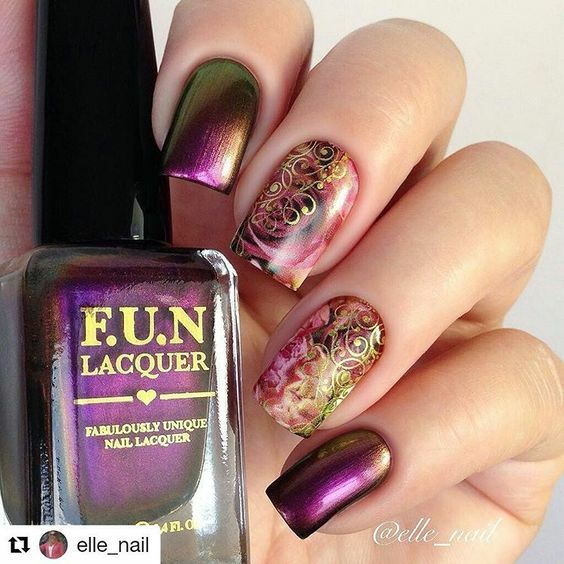 Most of these nail art designs have a dark base like black or red while the art on top is out of this world selections. 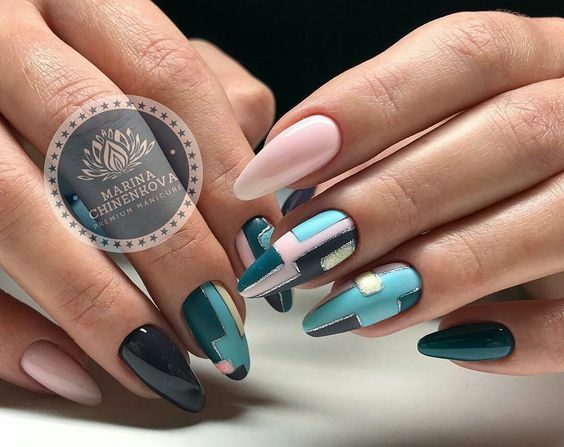 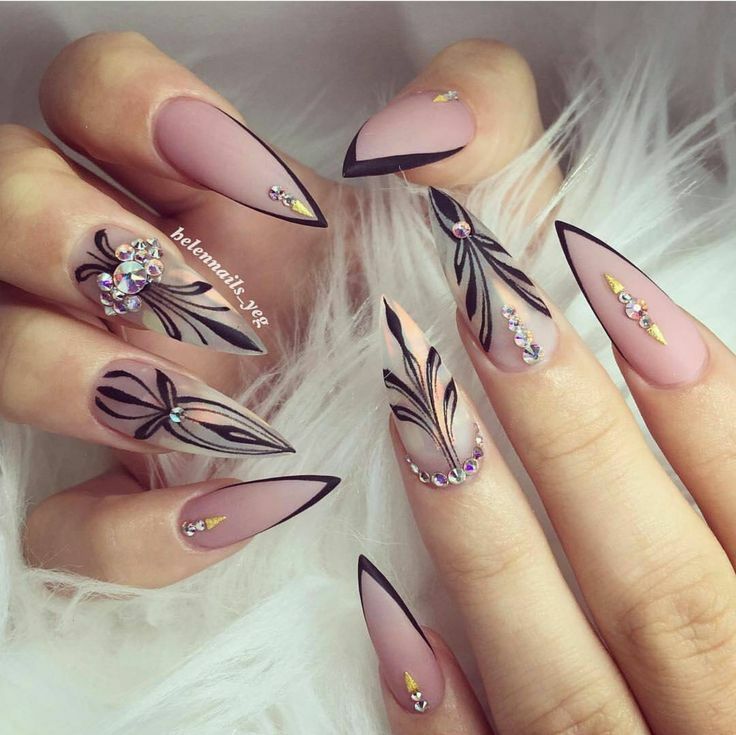 Sometimes, nail shapes are also manipulated to change the canvass of the art itself. 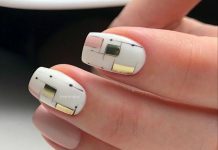 New techniques that are results of advancing technology most often the not produce these edgy designs that to only a few daring souls could be translated. 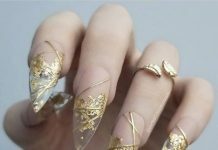 Today’s showcase is not an easy find, descriptions and public voice were considered in order to make sure that we get the right stuff, the edgy stuff. 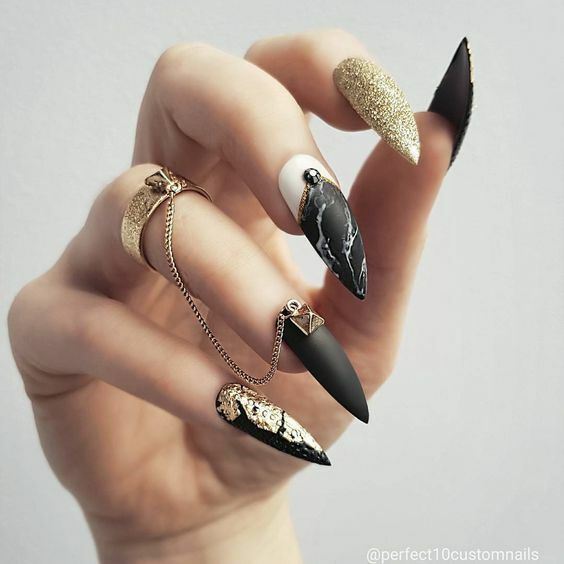 So, if you’re daring enough, then today’s collection will be the best portfolio for your next shocker.